Thank you for your interest in becoming a volunteer at MING Studios, Contemporary Art Center & International Residency Program. MING volunteers have the opportunity to take on a variety of roles at the art center, allowing them to learn new skills and make new acquaintances in the arts. 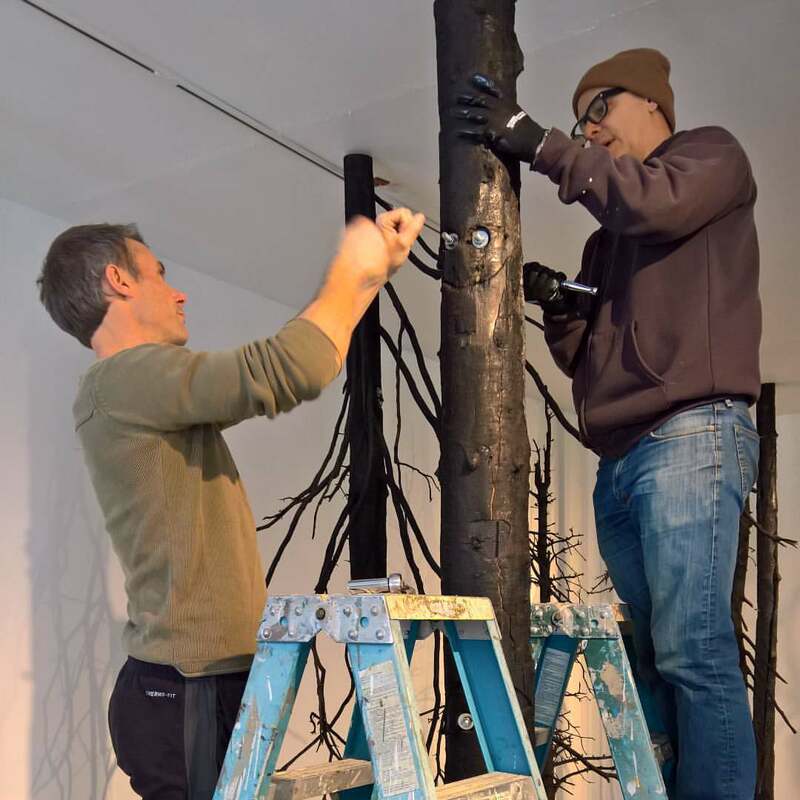 George and Travis assist AIR Giuseppe Licari installing Contrappunto. Write a brief introduction about yourself and your experience/interest in the arts. Describe any skills you have that could be useful at MING Studios. How many hours are you available to help out at MING Studios per month? What time of day best suits your schedule?